Case Study: Branson Connections Magazine — Kreativz, Inc.
Branson presented Kreativz with an idea to merge two publications - a magazine and an annual report - into one with the goal of having more impact while saving time and budget resources. 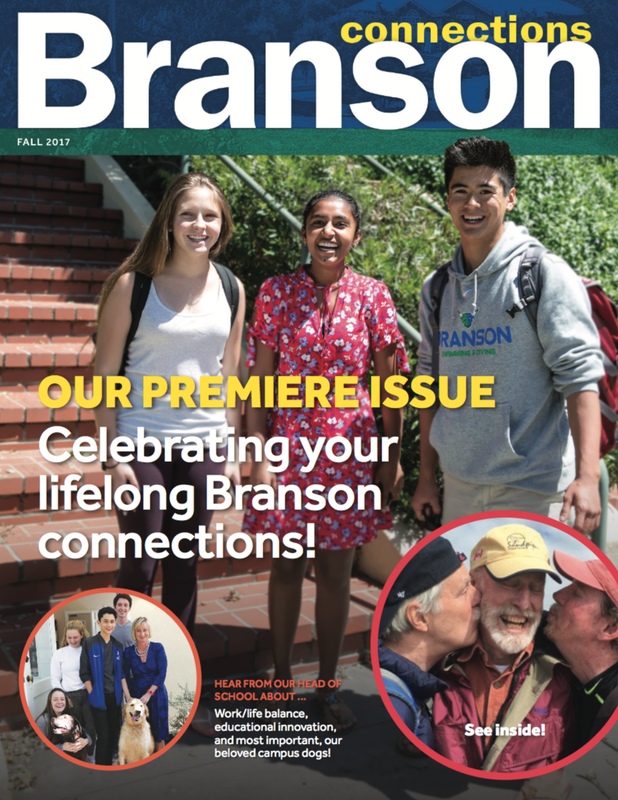 Kreativz led Branson in a design- thinking process to reimagine a student and parent-facing magazine that integrated the traditional annual report. Through our collaboration, we freed ourselves to tell more stories visually and to introduce the new head of school in a fun and engaging way. The magazine was well received by multiple audiences and gained attention from CASE for innovation and design. It was an award-winning piece! © 2019 Kreativz, Inc., All Rights Reserved.